avoid this and install all softwres at once. Ninit is a cool website which help you to do this. 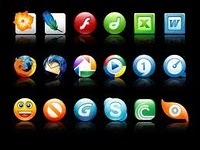 You can find Web browsers, Media, Runtime software, Document etc like softwares. Hope this was informative, kindly post your views or comments on this article.